Our country’s economic development has entered a new phase. This, coupled with the ever-changing global economic landscape, has created a very favourable external environment for Hong Kong. If we can capitalise on the opportunities, the wind beneath our wings will bear Hong Kong far and high. On the economic front, the current-term Government is ready to think out of the box and act proactively to open up new horizons for Hong Kong. To improve people’s livelihood, we are resolute in devoting resources and will spare no effort in solving problems. Over the years, Hong Kong has weathered many storms, and always emerged stronger through changes. What remain unchanged are our commitment to diversity and openness, our pursuit of fairness and justice, and our aspiration for a happy life. I strongly believe that as long as we embrace hope, find the right direction and steel our resolve, we will be able to brave the wind and the billows to turn our dreams into reality. Financial Secretary Paul Chan made these remarks to conclude his 2018-19 Budget Speech on February 28. The initiatives put forward in this Budget are underpinned by three main objectives. Diversified economy: We have to diversify our economy to create wealth for Hong Kong and provide wider and better development opportunities for our young people. 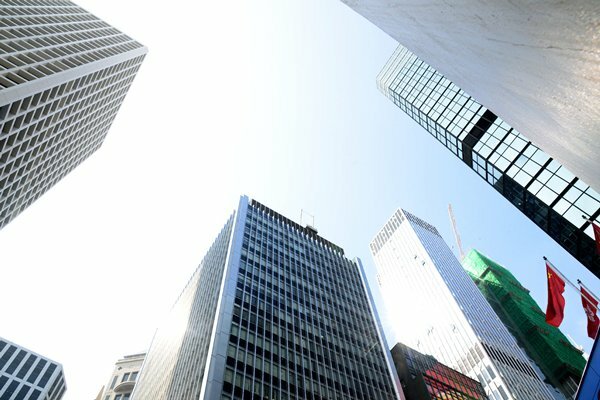 Investing for the future: The outbreak of winter influenza has reminded us once again of the pressing need to improve healthcare services; an ageing population poses challenges which need to be overcome by deploying resources and making early preparation; and we also need to improve our living environment to make Hong Kong an ideal smart city to work and live in. Caring and sharing: Children and young people should be given more care, protection and opportunities; middle-class families need relief from financial burdens, while the grassroots and underprivileged require more support. A fulfilling life calls for not only materialistic improvements, but also better quality of life and spiritual enrichment. In reality, no abundance of resources would ever enable the Government to satisfy the needs of all. It is my responsibility to take care of various sectors of the community. While addressing the pressing needs, I must also be proactive, innovative and bold in investing for the future of Hong Kong. Financial Secretary Paul Chan made these remarks while delivering the 2018-19 Budget on February 28. The Hong Kong Special Administrative Region Government is committed to creating an environment conducive to arts and cultural development. As an important strategic investment in this respect, the West Kowloon Cultural District project now taking shape on the other side of Victoria Harbour will be developed into an integrated arts and cultural district with world-class facilities befitting Hong Kong’s status as an international arts and cultural metropolis. Various major facilities will be gradually commissioned. In particular, the Xiqu Centre will open by the end of this year; Freespace, scheduled to open in 2019, has been topped out; and the M+ building will also open by late 2019. Furthermore, the Lyric Theatre Complex will be completed around 2021, while the Hong Kong Palace Museum is scheduled for completion in 2022. Alongside the upgrade in architectural hardware, we will continue to strengthen our cultural software. To enrich people’s cultural life, build audiences, nurture local talent and promote professional development, we organise a variety of quality arts and cultural programmes and activities. The Hong Kong Arts Month will return in March this year, in tandem with other major art fairs including Art Basel, Art Central and Asia Contemporary Art Show. And today, the highlight of the action is right here on this side of the harbour. The unveiling of the Harbour Arts Sculpture Park will see the Central and Wan Chai harbourfront transformed into a gallery featuring large-scale, museum-quality works of 18 emerging and established local and international artists. The Sculpture Park offers a unique opportunity for the general public to appreciate world-class sculptures against the backdrop of Hong Kong’s iconic skyline and energetic harbour. 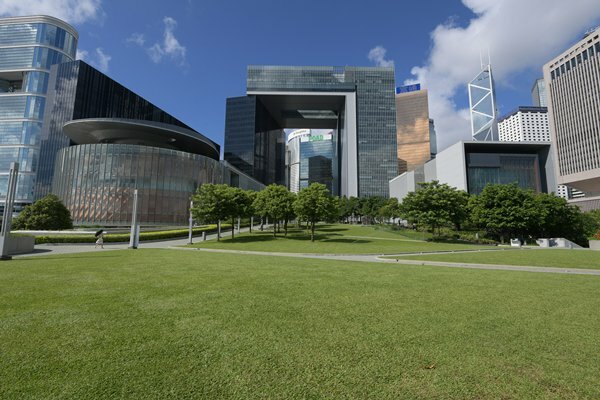 For Hong Kong people and overseas visitors alike, it will certainly be an impressive experience to rest, stroll, walk, jog along – and stop – to admire the masterpieces in this vibrant urban setting. The Sculpture Park is the fruition of collaboration among government departments, the creative industry and the arts and cultural community. It would not have been possible without the staunch support from all parties. I would like to extend my heartfelt thanks to the remarkable lineup of curators, partners and sponsors for bringing out the best in creativity. 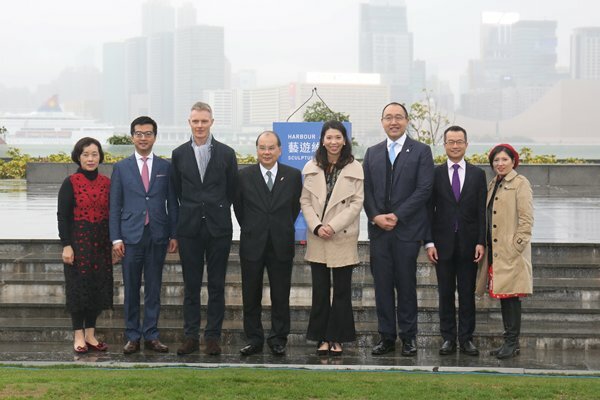 Chief Secretary Matthew Cheung gave these remarks at the launch ceremony of Harbour Arts Sculpture Park 2018 on February 22. The Lunar New Year is the most important festival for Chinese people. Though busy as we all are, I always make time to do shopping and decorate my home for the new year to get myself in the festive spirit. This year is the Year of the Dog. Faithful and gentle, dogs have always been our best friends. More than that, police dogs are police officers’ wonderful workmates and provide loyal service to the force. They help the Police maintain law and order, making Hong Kong a safe place to live and work. I am honoured to extend my New Year greetings to you for the first time in my capacity as the Chief Executive. I wish Hong Kong prosperity, stability, progress and success in the year ahead. This is a translation of Chief Executive Carrie Lam’s Lunar New Year message delivered on February 15. Thanks to the power of technology and the global economy, we live in an increasingly interconnected and inter-dependent world. Our young graduates must be equipped with the necessary skills, the essential confidence and connections, if they are to find their place – and maintain Hong Kong’s standing – in the global economy. In this, the Li Po Chun United World College is certainly exceeding expectations. Through such initiatives as the Education Outside the Classroom programme, overseas trips, China Week, cultural evenings, the college has been making remarkable efforts to deepen students’ understanding of international connectedness and enhance their whole-person development. Beyond breaking boundaries, the college also continues to build bridges. We are all well aware by now of the Belt & Road Initiative, which is now supported by more than 100 economies and international organisations. All of them are keen to build bridges – the literal, as well as the metaphorical. I am pleased to note that the college is determined to be part of that multilateral future and to create its own connections to the nations, the cultures and the peoples of the Belt & Road. In fact, over the past 25 years, more than 560 students from Belt & Road countries have been admitted to the college. And now the college is moving to expand its Belt & Road links. I understand that plans are in place to set up a Belt & Road Resource Centre at the college, which will welcome secondary school students from all over Hong Kong, helping them better understand the economies, the cultures and the opportunities that the Belt & Road can offer. In addition, some of the college’s service projects will take place in Belt & Road countries, and the college is working to establish a scholarship programme to welcome more students from these countries. That is what I call planning for the future. My Government is also busy building bridges for the Belt & Road and for our young people in general. The Education Bureau will enhance the content of Mainland exchange programmes to enable more teachers and students to understand the opportunities brought by the Belt & Road Initiative and other national development strategies and to widen their horizon through visiting the relevant provinces and cities in the Mainland. In the 2016-17 school year, about 60,000 students benefited from the exchange. This school year, we have expanded the quota to more than 100,000 places to give every primary and secondary student the invaluable opportunity to participate in at least one Mainland programme. More generally, we are eager to help our youth realise their potential, whatever their goals may be. And I believe we can do that best through innovative, future-focused education. It is the reason why, shortly after taking office, my Government increased the recurrent expenditure on education by $3.6 billion a year. The additional resources cover the entire spectrum, from kindergartens and primary and secondary schools, to integrated and special education, as well as post-secondary education. At our public sector primary and secondary schools, we have raised the teacher-to-class ratio, providing more than 2,000 additional regular teaching posts. We are also offering an extra recurrent cash grant of $25,000 a month to boost innovation and technology staffing support for e-learning and other I&T-related educational initiatives. We are, as well, bolstering our STEM education. We have updated the curriculum of the STEM Education Key Learning Area to nurture the creativity, collaboration and problem-solving abilities of our youth, thereby promoting an innovative and entrepreneurial spirit. We have also launched STEM training programmes for the heads and middle managers of our public primary and secondary schools. Additional training and teaching support are available at the STEM Education Centre, up and running since last October. At the post-secondary level, we are creating policies and programmes designed to boost our I&T talent. A recent McKinsey Global Institute study, “Jobs Lost, Jobs Gained: Workforce Transitions in a Time of Automation,” notes that “between 400 million and 800 million individuals could be displaced by automation and need to find new jobs by 2030, around the world”. So we must ensure that today’s students have the knowledge, expertise and innovative smarts they need to build their future. With that in mind, some $10 billion has been earmarked for university research programme. And with an injection of $3 billion into the Research Endowment Fund, the Education Bureau is providing scholarships for local students admitted to Hong Kong-funded research postgraduate programmes. And I can tell you, there is a great deal more funding on the way for I&T education and research in our policy agenda. Money, of course, is only a means to realising our vision for education. With our healthy fiscal reserves, my Government is prepared to invest for our future, and there is no investment more meaningful than education. We are therefore prepared to consider any proposal to improve the quality of education, even if it means that we have to go beyond the $5 billion additional funding that I pledged last year. In my Policy Address delivered last October, I have identified eight areas of education which the Government needs to carry out in-depth reviews, including professional development of teachers, curriculum arrangement, assessment system, vocational and professional education and training, self-financing post-secondary education, school-base management, parent education and University Grants Committee’s funding on research and student hostels. I am glad to report that the Education Bureau has set up task forces with the participation of educational experts and related professionals to carry out the reviews, and studies have been commissioned step by step. 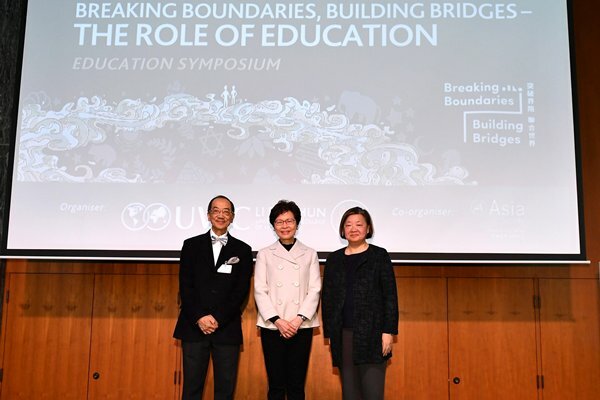 Chief Executive Carrie Lam gave these remarks at the opening of the “Breaking Boundaries, Building Bridges – The Role of Education” forum held by the Li Po Chun United World College of Hong Kong on February 10. My Government’s smart city vision is as clear and compelling as the benefits it promises. We have embraced the smart city and the innovation and technology (I&T) that will power it to ensure that our economy remains strong and diverse deep into this 21st century. No less important, we see the smart city as a critical means to providing the people of Hong Kong with a high quality of life. That said, we have no time to waste – not if we want to turn Hong Kong into one of the world’s smart cities. Which is why in my October Policy Address I announced that we would advance the timetable for the publication of the Smart City Blueprint and invest initially $700 million to push ahead with key infrastructure projects for smart city development. This is also why I personally chair the Steering Committee on Innovation & Technology, with membership comprising the Chief Secretary for Administration, the Financial Secretary and 10 bureau secretaries to oversee the implementation of the initiatives. I am glad to tell you that we are making some progress, with the Smart City Blueprint published in December last year. The blueprint is only a start. Delivering the smart city is a multifaceted task and we will need to work particularly smart in a number of strategic areas if we are to realise its full benefits. They include opening up data for free use by startups and the public. As you know, open data can only promote social innovation. Opening health-related data, for example, will help us better monitor infectious disease trends, promote research and development (R&D), and drive innovation in health-related products and applications. In this respect, I am happy to note that the Hospital Authority is developing big data analytics to encourage the sharing of anonymous patient data. Within government, we have recently revamped data.gov.hk to provide geospatial data, which in turn will promote the development of innovative applications and solutions. More geo-tagged data sets will be made available for public use. Looking ahead, we will expand the opening up of free government data, focusing on transport, health, education and sensor data. In these areas we trail our competitors. Of course, much data are controlled by the private sector. Our public transport operators, for example, are private companies. And they are generally reluctant to share, at no cost, data generated from their operations. That includes the real-time location of their fleet and passenger volume. We will continue our efforts to convince them of the benefits that everyone gains in a system where the data is freely available. I am sure the Smart City Consortium will help us to give this a real push. Using the data of other operators can only help enhance the business models of all operators. Building essential technology infrastructure is another critically important strategic area. In this regard, the Hong Kong Monetary Authority is developing a Faster Payment System. It will allow residents to use their mobile phones for payment – anytime, anywhere. We are also gearing up for the 2020 commercial launch of 5G mobile services and applications. We will as well provide a universal eID – a single digital identity and authentication allowing the people of Hong Kong to access government and commercial online services. Within government, we are building a new big-data analytics system to support cloud services. It will also enhance efficiency and cyber security through resource sharing and artificial intelligence. Next year, we expect that the first smart lampposts will take to the streets of Hong Kong. They will collect a wide variety of city data, from weather and air quality to traffic. And that can only help us enhance the good management of Hong Kong. The Highways Department and the Office of the Government Chief Information Officer will roll out a pilot scheme in four districts. These smart lampposts will offer Wi-Fi, 5G networks and district information for road users. Still on infrastructure, the Hong Kong-Shenzhen Innovation & Technology Park may well be our most anticipated I&T infrastructure project. Occupying a site of 87 hectares and a gross floor area of 1.2 million square metres, it will be the largest I&T development in Hong Kong upon completion. I can tell you we are working at full speed to implement it. The statutory planning procedure has been completed just last week and the infrastructural work will start immediately once funding has been approved by the Legislative Council. Hong Kong is also home to high-tier data centres. 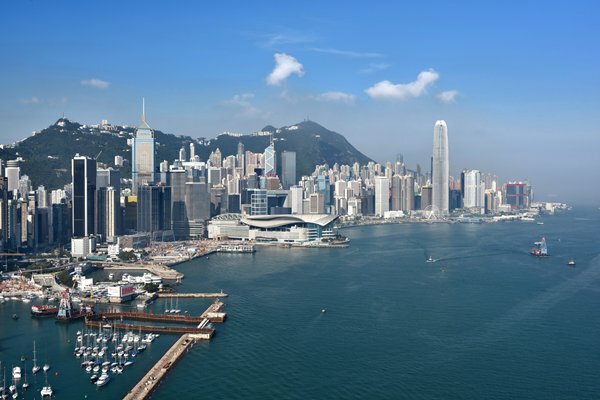 Last June, Amazon Web Services announced it would establish a data centre hub in Hong Kong while Google will open a Google Cloud Platform in Hong Kong later this year. These, and other developments, underline the confidence global I&T leaders have in the future of Hong Kong as a data hub and smart city. Talent is essential to that future. Simply put, we need all the smart, tech-savvy people we can get if we are to create a smart city for the world. At last count, we had about 50,000 students in science, technology, engineering and mathematics (STEM) studies. That number has to grow. To that end, we will provide scholarships worth $3 billion to encourage local students to take part in research postgraduate programmes. And we will continue to promote STEM education at the primary and secondary school levels, as well as the community at large. We are also looking for talent beyond Hong Kong. We will soon launch a pilot fast-track scheme to admit technology talents from overseas and the Mainland of China. In the coming months we will launch a $500 million Technology Talent Scheme, which will include a Postdoctoral Hub. The hub initiative provides funding support for companies looking to recruit postdoctoral talent for scientific research and product development. In addition, we will continue to invite acclaimed universities, R&D institutes and technology enterprises to set up here to collaborate with local partners and to develop research projects with social benefits for Hong Kong. Then there’s a question of legislation. In my Policy Address I pledged to review existing legislation and regulations and to remove any outdated provisions that may impede our I&T development. The Policy Innovation & Co-ordination Unit will soon be set up, again subject to the approval of the Legislative Council, working directly under me to spearhead that effort. Beyond government policies and plans, I’m pleased to note that venture capitalists are already sold on Hong Kong. In the first nine months of 2017 venture capital in Hong Kong reached US$770 million. That is nine times more than was invested in Hong Kong in 2012. As for startups, there were just over 1,000 in Hong Kong in 2014. Last year that number more than doubled to over 2,200. At last count, at least two of our made-in-Hong Kong startups have hit that starriest of capital heights: unicorn status. In short, we’re on our way. It’s an evolving journey and support from the private sector is essential. When I said support, that doesn’t mean that you should tell us what we are doing well. I want you to tell us what we are not doing well enough so that we could improve and respond to the industry’s needs. As I said, the Smart City Blueprint is just the beginning. It’s a living document driving a multifaceted policy agenda. We will continue to update and upgrade them for the benefit of the people of Hong Kong. Chief Executive Carrie Lam gave these remarks at the Smart City Blueprint Luncheon on February 7.